How do I change a page name in a group? 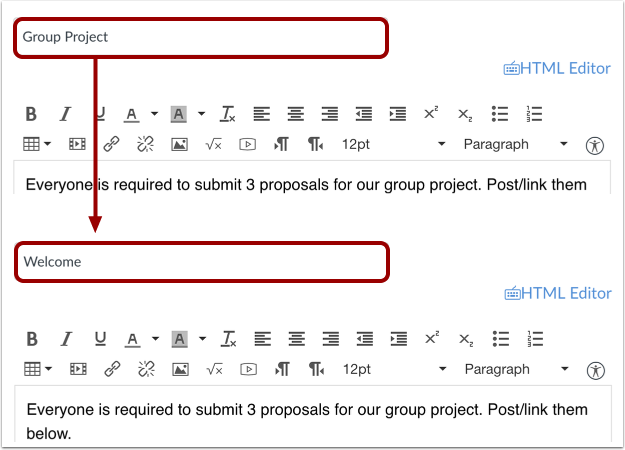 Pages is designed to open to the front page for group, if there is a front page selected. 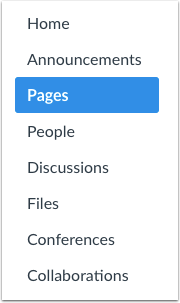 To select a page from the Pages Index, click the View All Pages button. Delete the previous title, and rename the page title. To save changes, click the Save button. View the new page name at the top of the page. Previous Topic:How do I create a new page in a group? Next Topic:How do I edit a course page as a student? Table of Contents > Pages > How do I change a page name in a group?